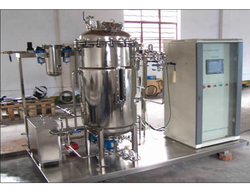 In order to meet the huge market demands, we are involved in offering best quality of Continuous Fermenting Machines. The offered Continuous Fermenting Machines is extensively used for the entire fermentation process, they're advantage. The offered products are available in the market in wide range at most affordable rate. Our clients can avail from us a comprehensive assortment of Fermented Vats, which is fabricated in compliance with the international norms. These are specially designed to produce different varieties of wines, extracted from grapes. 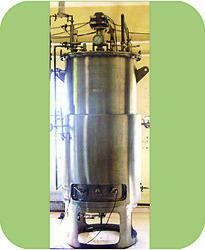 Moreover, we offer these vats to our esteemed clients, at the most economical rates. The steam generator has been carefully constructed to supply saturated steam, over double the capacity of the total volume of the proofing chamber. At the same time, the circulating air picks up the residual moisture on its way through the steam generator.